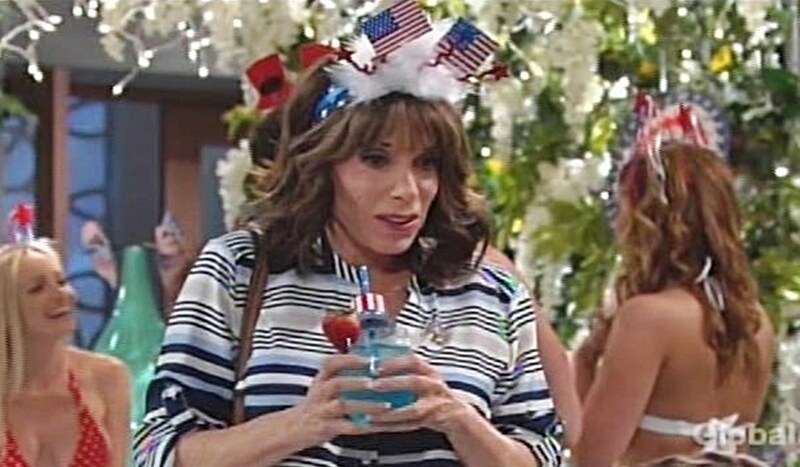 Wednesday July 4, 2018: Hilary gets help with her show when a guest cancels, Esther warns Cane and Lily about Jack, and Phyllis and Billy celebrate his birthday and the holiday in an elevator. 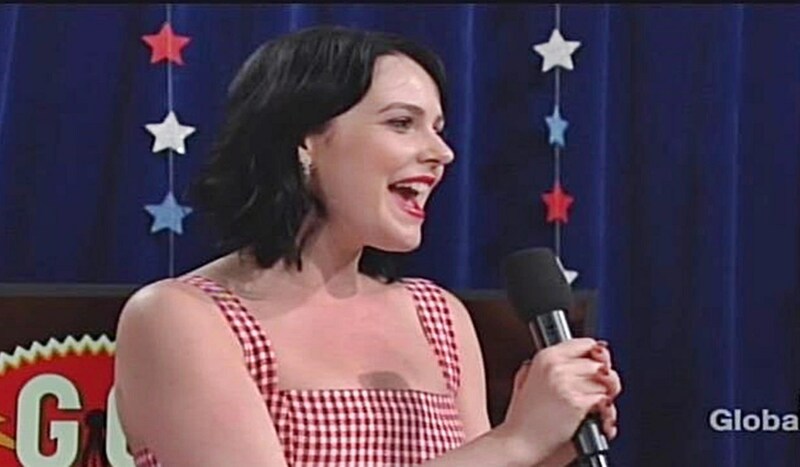 At the Dive Bar, the GC Buzz Fourth of July episode gets underway with Hilary promising a special guest – she guarantees fireworks in the sky and in front of the camera. During the break, Hilary snaps at Tessa and Shauna, and learns her guest, the Mayor, has cancelled. She looks over at the Ashbys, and smiles – she’ll improvise. Across the way, Cane and Lily lament Jack’s decision to go ahead with a lawsuit and to put his mother through testifying. Abby joins them, followed by Hilary, who invites them all to be on her show today. 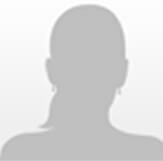 Lily is the first to be interviewed and shares what the ‘fourth’ means to her – she opens up about having the independence to choose as a woman. On break, Cane hugs Lily and Charlie whispers to Mattie, “Now how are we going to tell her?” Abby is next on air in a puzzling interlude about ‘freedom from convention’ concerning blondes not being dumb, and the freedom to wear anything…or nothing. After, Abby snaps selfies for Arturo to admire and tells Lily they still have some obstacles to overcome, but she knows just what to do. Meanwhile, Mattie and Charlie take their turn on Hilary’s show. Charlie gets a laugh saying the holiday, for him, is about the great food. Hilary cuts to break, and snaps at Shauna again about forgetting the water. Lily intervenes to suggest Shauna be allowed to have fun with the other teens. Hilary gives her the rest of the day off, and directs her instructions to Tessa. Nearby, Lily and Cane realize something’s up with the twins, who admit they were invited to a party. They’re given permission to leave. Lily and Cane canoodle until Cane takes his turn on Hilary’s show. He talks about being a parent and the future. Once he reconvenes with Lily, they discuss how much they’ll miss the twins when they’re at college. Esther appears and tells them if Jack digs up Phillip Chancellor’s grave, Katherine will roll over in hers. Tessa appears on Hilary’s show next, then seems distracted by some texts. 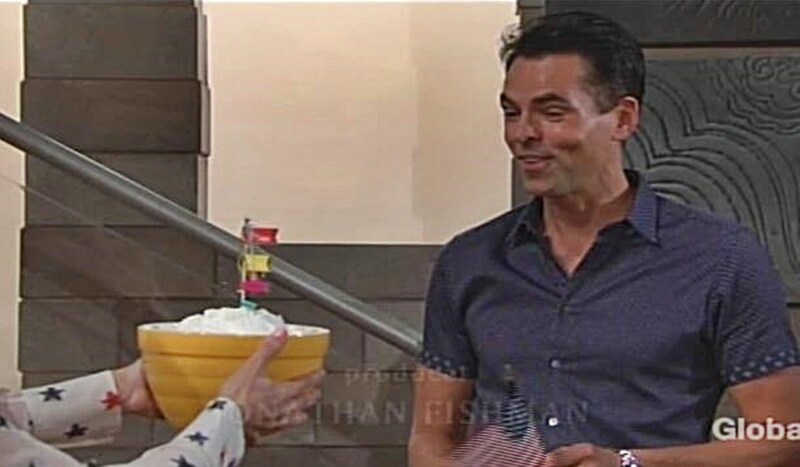 At home, Billy calls out Happy Fourth of July wishes, but Phyllis surprises Billy with a ‘Happy Birthday’ bowl of whipped cream, which was easier than baking a cake. He reveals he has special plans for them too – on the yacht. He searches for the keys, but they’ll have to stop by the office to get them. As they leave, they debate having hot dogs or lobster. Hilary’s show continues at the Dive Bar. She expounds on what this day means to her, particularly now that she’s set to become a mother. After, Tessa informs her the mayor is definitely not coming. Across the way, Esther warns Cane that Jack has a way of getting what he wants. Stuck for a guest, Hilary invites Tessa to sing when she holds up a microphone. Tessa mouths, “You owe me,” before singing the Star Spangled Banner. Mattie, Charlie, Shauna, Arturo, Billy, and Phyllis all arrive in time to join in. As darkness falls, the guests canoodle on the dance floor. Abby and Arturo leave, and Esther points out how nice Tessa was to Hilary. Hilary apologizes to Tessa, but messes it up. 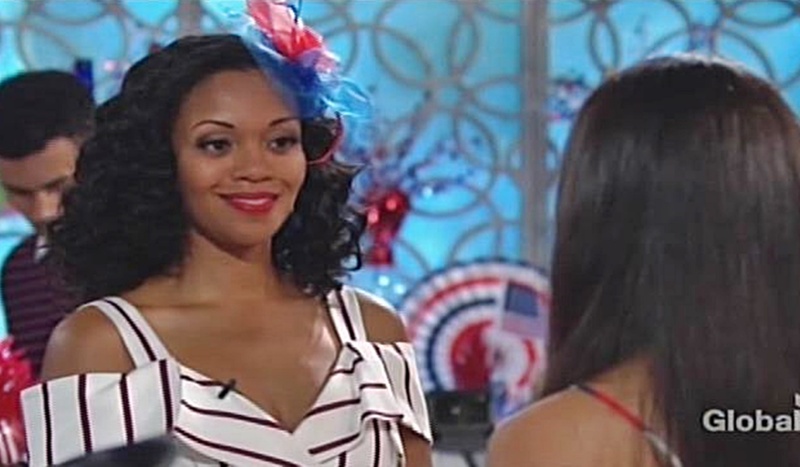 Shauna appears to tell Hilary she’s made the American dream possible for her. They hug. Elsewhere, the twins tell Cane and Lily they returned because they wanted to be with them. Soon, the fireworks begin. At Arturo’s place, he makes passionate love to Abby.